It’s pretty easy to get lost and confused in an airport, and that can be said especially for the largest airports in Europe by area. Going to the airport is always extremely tedious and time-consuming. It’s a necessary evil, but it always makes me anxious. It’s not the air travel part that makes me nervous; it’s mostly how long it takes to check bags, get through security, and get to the gate to make sure you’re early enough to find out if your gate was changed or if there are any delays. It’s even more difficult when the airport is massive or has a confusing layout. I’ve gotten lost about three times in the Atlanta airport. When you really think about it and look at the airport map, it’s not that confusing, but it’s so large and I’m not familiar with it, so I ended up wandering around for 40 minutes before I could find baggage claim. It wasn’t a fun experience. If you’re traveling from the US to Europe, you’re going to have to deal with large European airports. I can imagine this is much more difficult than domestic travel simply because the signs are often in another language and you might not easily find people who speak English to help guide you in the right direction. That’s why it’s quite important to brush up on your language skills before going to another country so you can make sure you’re at least somewhat see sufficient while you try to find your luggage. Airports do, however, show off a country’s rich history. The walkways are sometimes like mini-museums and offer duty-free shopping. This is prevalent in some of the largest and busiest airports in India. In order to create this list of largest airports in Europe by area, we first checked out SkyScanner to find a list of all the airports around Europe. We then ranked them according to their area, which is measured by hectares. Heathrow Airport in London is the busiest European airport, but I wonder if it’ll make the list of the largest. Without further ado, let’s take a look at the largest airports in Europe by area. 11 Largest and Busiest Airports in India 13 Largest Airports in Europe By Area Adolfo Suarez Madrid-Barajas Airport Size Amsterdam Airport Schiphol Size biggest airports in Europe by size Budapest Ferenc Liszt International Airport Size Charles de Gaulle Airport Size Domodedovo International Airport Size Frankfurt Airport Size Heathrow Airport Size How airports work? Is Adolfo Suarez Madrid-Barajas Airport the largest airport in Europe? 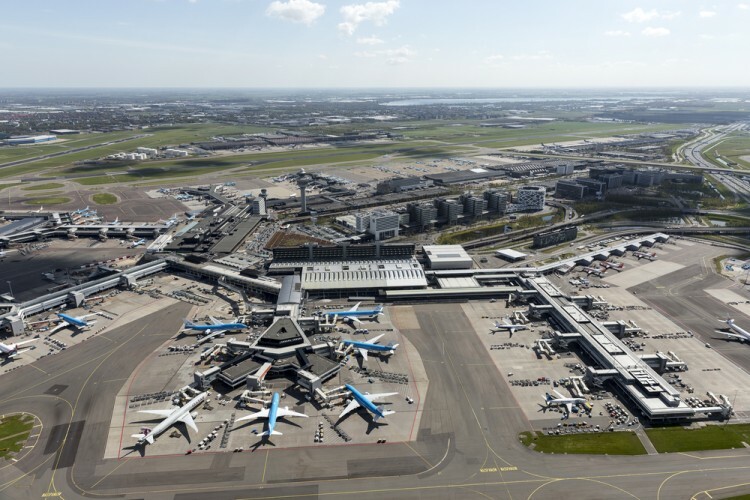 Is Amsterdam Airport Schiphol the largest airport in Europe? Is Budapest Ferenc Liszt International Airport the largest airport in Europe? Is Charles de Gaulle Airport the largest airport in Europe? Is Domodedovo International Airport the largest airport in Europe? Is Frankfurt Airport the largest airport in Europe? Is Heathrow Airport the largest airport in Europe? Is Istanbul Ataturk Airport the largest airport in Europe? Is Leonardo da Vinci-Fiumicino Airport the largest airport in Europe? Is Lyon-Saint Exupery Airport the largest airport in Europe? Is Munich Airport the largest airport in Europe? Is Paris Orly Airport the largest airport in Europe? Is Pulkovo International Airport the largest airport in Europe? Istanbul Ataturk Airport Size largest European airports by size Leonardo da Vinci-Fiumicino Airport Size List XFinance Lyon-Saint Exupery Airport Size Munich Airport Size Paris Orly Airport Size Pulkovo International Airport Size Slideshow Why airports are important? Why airports are vital to the global economy?